The public is invited to Tomo-Kahni State Historic Park’s 25th anniversary celebration on Saturday, Jan. 26, from 1:00 p.m. – 4:00 p.m., featuring a talk by anthropologist Dr. Bruce Love and a flint knapping demonstration by master flintknapper Gary Pickett. Tomo-Kahni State Historic Park features the remains of many aspects of Kawaiisu Indian village life in the Tehachapi Mountains. 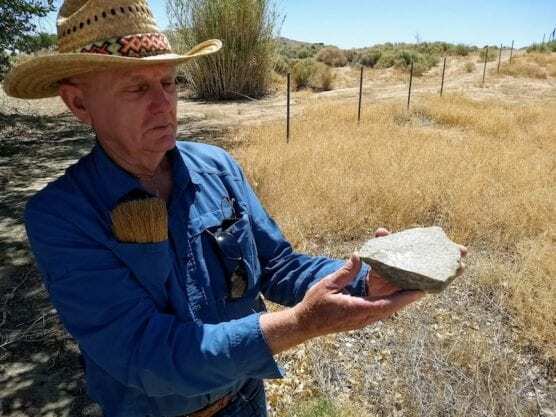 Renowned anthropologist Dr. Bruce Love will share an entertaining program about how Native Americans in the Antelope Valley area have been adapting to changing environments since the end of the last Ice Age, over 12,000 years ago. In the process, they left unique markers for archaeologists to discover and debate, with plenty of mysteries yet to be resolved. Understanding of the artifacts discussed in Dr. Love’s presentation will be enhanced by the flintknapping demonstration by Gary Pickett. Flintknapping, the ancient art of creating projectile points and other cutting tools from rock such as obsidian or rhyolite, involves using a deer antler and hammer stone to carefully flake off pieces of rock to form a sharp edge. State Park volunteers will also be honored for their service. Those interested in learning more about the volunteer program are encouraged to attend. Volunteers to lead tours and school programs, promote the park at community events, and other activities after receiving in-depth training about the Kawaiisu culture. Gary will also be leading a future flintknapping workshop for registered State Park volunteers. Dr. Love has 40 years experience in Southern California archaeology, including work in the Sand Canyon and Tehachapi region. Gary Pickett began flintknapping 33 years ago, and has been teaching the art for almost 20 years. When: Saturday January 26, 1:00 p.m. – 4:00 p.m.
100 East E Street, Tehachapi.